Scanning archiving options…Who is the winner? Data storage and its security is not a new problem. It is as old as the human race.Nowadays the speed with wich information is generated and processed is overwhelming. Second factor is its variety, including text documents, office documents, images, video, sound,databases etc.Many organizations and companies face the challenge to keep their digital history safe and easily accessed and identified for longer than five, twenty or even fifty years. What is important while adopting storage solution? To clarify current and future needs, to consider the long – term disadvantages and maintainance costs, but most of all – to not be locked into one particular solution only. It must be able to daily evolve with our business. An ideal archiving technology should also be an open standard, have a good existing base of machines that can read the data format,be fully storable in a normal office space and easy to duplicate. That is why CDs and DVDs are more frequently chosen as storage solution than RAID systems (Redundant Array of Independent Disks ) which are very energy – consuming and require permanent monitoring to prevent data loss. On top of this, it will face the problem of spare discs availability in 20 years. But even optical disc media leave the problem of capacity.What evolved from CD/DVD and thus is backward compatible is Blu-Ray. This plus the huge installed base makes it a viable technology for future storage. To give the full picture, a 50GB Blu-ray discs holds: 76.9 CDs of 650MB capacity,10.6 DVDs of 4.7GB capacity,4.33 hours of video at 25 mbps,3.33 hours of video at 32 mbps,2.16 hours of video at 50 mbps,1.23 hours of video at 90 mbps,1.11 hours of video at 100 mbps HD and 4.16 minutes of uncompressed HD at 1600 mbps.Up to100 GB of information (scheduled for 2011) can be written on a single- sided disk, its super-tough coating prevents corrosion and the medium estimated archive life is 50 + year. 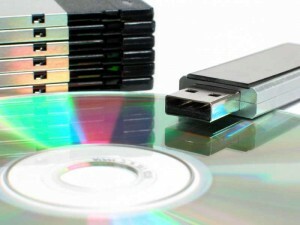 Data can be written in UDF (universal data format) and any machine with Blu- Ray drive can read the format. Comparing to tiered archiving solutions like RAID, optical storage is also the most economic. No matter which archive solution you choose, bear in mind that the quality of media is more important than the device. So you must always use only branded media to ensure the sustainability for a long term. Posted in Uncategorized | Comments Off on Scanning archiving options…Who is the winner? You are currently browsing the Duplication Centre Resource Centre blog archives for March, 2011. Duplication Centre Resource Centre is proudly powered by WordPress | Entries (RSS) | Comments (RSS) | 17 queries. 0.017 seconds.